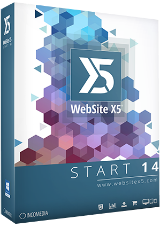 WebSite X5 Start 15 was available as a giveaway on April 5, 2018! Had previous version 13 and installed this one, entered email and it ask me for licence. I tried the v13 licence found on my licences page, which does not work if course. There is no prompt to enter account password as the directions say. So, there is no option, either in the software or on my profile, to get the v15 licence! Had previous version 13 and installed this one, entered email and it ask me for licence. I tried the v13 licence found on my licences page, which does not work if course. Software cannot be activated. There is no prompt to enter account password as the directions say. So, there is no option, either in the software or on my profile, to get the v15 licence! 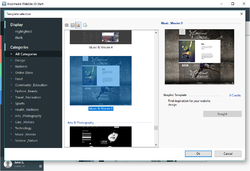 WebSite X5 installed without any problem to Windows 10 Home x64 and activated it. However, I'm not sure this software comes with hosting service as well? Is hosting service included with this software? My stupid fault! I tried it again and saved the file to disc this time. I unzipped it and it ran fine. Don't use the download option to execute it without downloading. My stupid fault! I tried it again and saved the file to disc this time. I unzipped it and it ran fine. Don't use the download option to execute it without downloading. Removed it. Two hours and it just brings you around in circles. Cannot Register. I downloaded the app but it will not allow me to perform any update. It says i'm not registered. It's registered. Do I have to wait?? 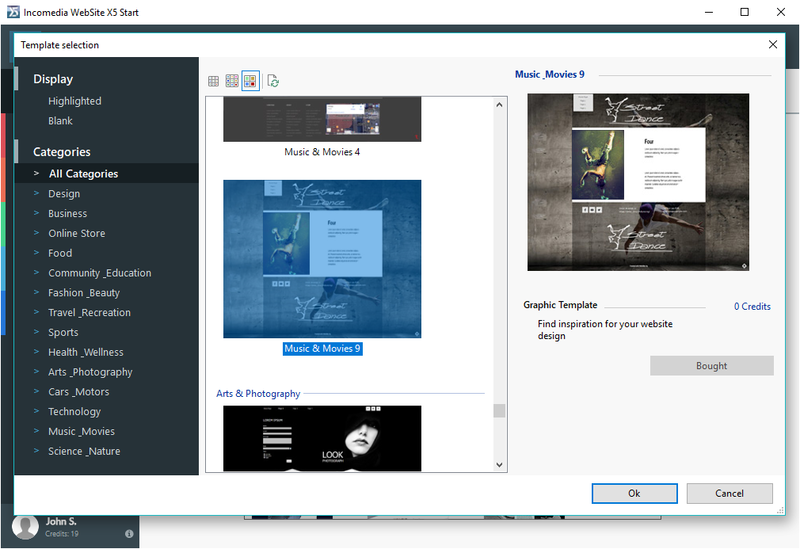 I suggest checking out GraphBerry's templates. They're free, simple, and responsive to some extent. 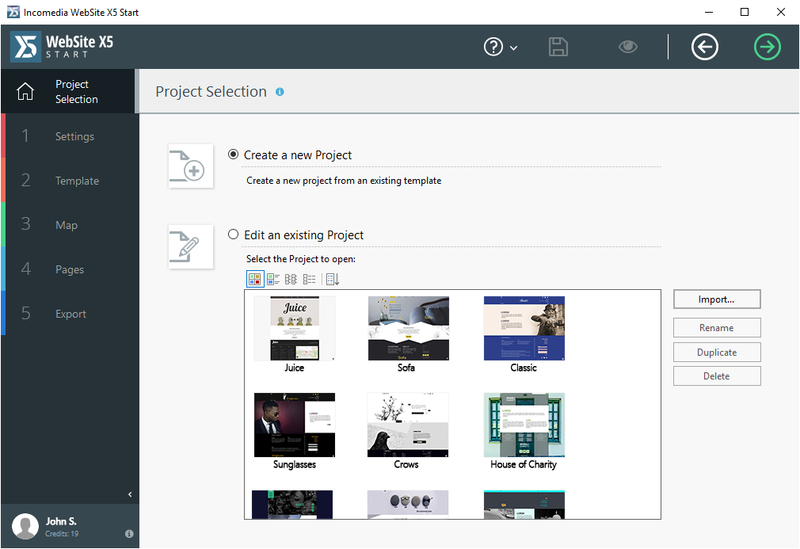 I'm still a newbie when it comes to web development, but GraphBerry is easy enough to work with and you can customize their templates to your heart's content. 1. Go to https://helpcenter.websitex5.com and create a account if you haven't one yet. 2. Install Website X5 Starter and during install, enter the email address you used in step 1. 3. Login within the setup using your credentials from step 1. 4. The server will activate your copy, you can check your license key on the page in step 1 under "My Licences". The comparison table lists pretty much all the details and limitations, most notable probably is the pages per site restriction with 25 compared to 10.000 in the next higher editions, which is not very much, tbh. Next notable thing may be lack of responsiveness, i think that is a must nowadays, considering so many different hardware is out there and technology simply deserves it to be treated accordingly, not to mention it gives the visitor a proper feeling, that someone thought about them too, seeing their "exotic" hardware is supported where they browse on, mobile and tablets is supported nonetheless. The templates weren't really my thing, many of them had the same touches to it like another and they looked kinda similar, just in different variations. The good thing is you can edit templates, they also don't seem to have a copyright hardcoded, at least not visible. 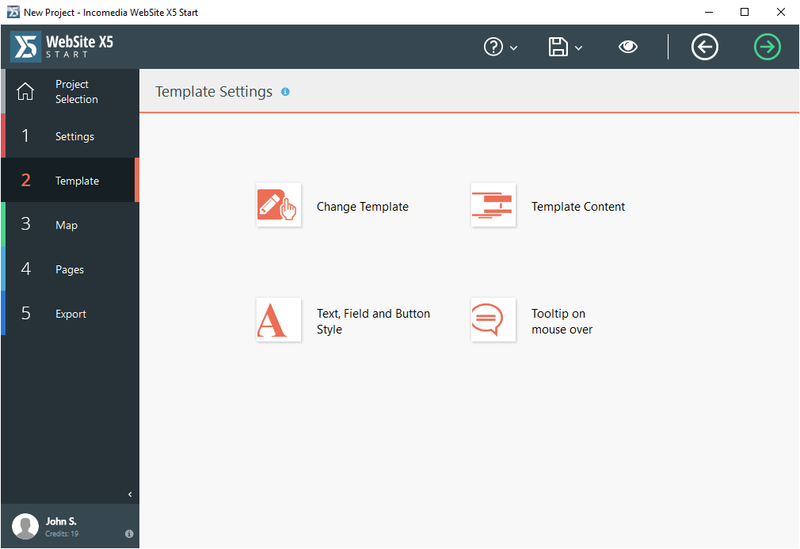 There is a "Created with Website X5" footer text but you could simply delete it. Probably going to play a bit around with it but i'm not expecting to make it that far in with editing but for a simple website with a landing page, it should be good enough. Free alternatives: CoffeeCup Free HTML Editor, Google Web Designer, Microsoft Expression Web, Zeta Producer, KompoZer. Install 1. Go to https://helpcenter.websitex5.com and create a account if you haven't one yet. 2. Install Website X5 Starter and during install, enter the email address you used in step 1. 3. Login within the setup using your credentials from step 1. 4. The server will activate your copy, you can check your license key on the page in step 1 under "My Licences". Comprehensive comparison table: https://www.websitex5.com/downloadcenter/wsx5/materials/saleskit/comparative_chart_en.html The comparison table lists pretty much all the details and limitations, most notable probably is the pages per site restriction with 25 compared to 10.000 in the next higher editions, which is not very much, tbh. Next notable thing may be lack of responsiveness, i think that is a must nowadays, considering so many different hardware is out there and technology simply deserves it to be treated accordingly, not to mention it gives the visitor a proper feeling, that someone thought about them too, seeing their "exotic" hardware is supported where they browse on, mobile and tablets is supported nonetheless. The templates weren't really my thing, many of them had the same touches to it like another and they looked kinda similar, just in different variations. The good thing is you can edit templates, they also don't seem to have a copyright hardcoded, at least not visible. 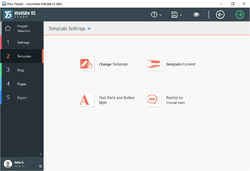 There is a "Created with Website X5" footer text but you could simply delete it. Probably going to play a bit around with it but i'm not expecting to make it that far in with editing but for a simple website with a landing page, it should be good enough. Free alternatives: CoffeeCup Free HTML Editor, Google Web Designer, Microsoft Expression Web, Zeta Producer, KompoZer. Thanks a lot for your list of alts. kui_, Thanks a lot for your list of alts. What's the difference between this and WebSite Compact 11? will i get free domain name and webspace also with this. When installed, the software reacts that way: "Your software is not updated to the latest available version! Update now!" Is that initial update included as a giveaway? Chris Locke, Actually wordpress needs updating ALL THE TIME. And if you fail to update you are likely to get hacked. Wordpress is very very annoying. Spot ofBorg, If you think it through though, it makes sense. Wordpress is continually being developed to plug any security exploits / fix bugs and issues. Would you rather have software that WASN'T updated?! Wordpress also self-updates, so you don't have to update it manually. The site apparently does not allow you to register. I filled out the registration several times and when you click the register button the page refreshes, erasing your input and will not allow you to login. The software says it has to be updated but you cannot update because you are not registered. Darryl Smith, I had this, and was very frustrating. There is a little checkbox at the bottom, "Privacy Conditions" which you have to tick first. Mario, well it is the most basic product they offer... If I were them I'd offer as a giveaway the BEST equipped one I sell in the hopes that if the recipients liked it and were able to use it they'd want future updates and even if the BEST edition I did was overkill for their needs they may buy one of my lesser editions that does meet their needs. And if they needed to use it for commercial purposes like you seem to be they may be tempted to buy my latest BEST edition with lifetime updates. Rather than offering my least capable starter edition which will never suffice for a budding e-store starter. Svend Östergaard, Its a bit convoluted isn't it, and certainly not very intuitive. Svend Östergaard, that is so correct. I found a bug in my case of previous v13 installation, which does not even let the v15 to be activated. Svend Östergaard, that is so correct. I found a bug in my case of previous v13 installation, which does not even let the v15 to be activated.